Thinking quantitatively about physiology is difficult for many students. However, it is fundamentally important for students to gain a proper understanding of many of the concepts involved. In this enlarged second edition of his popular textbook, Richard Burton gives the reader an opportunity to develop a feel for values such as ion concentrations, lung and fluid volumes, and blood pressures through the use of calculations requiring little more than simple arithmetic. The book provides guidance on how to avoid errors and the usefulness of approximation and "back-of-envelope sums." The topics discussed here include energy metabolism, nerve and muscle, blood and the cardiovascular system, respiration, renal function, body fluids, and acid-base balance. 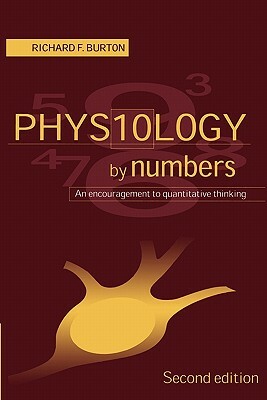 This book is essential reading for physiology students (and teachers) everywhere, both those who are shy or adept with numbers. Author Name: Burton, Richard F.